At Attendance Works, one of our top priorities is building public awareness about the importance of school attendance. 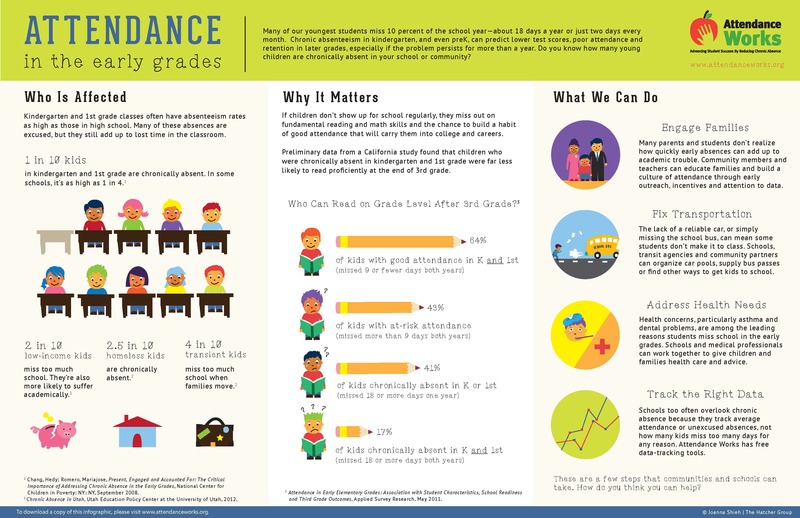 Our infographic spelling out the facts about chronic absence in the early grades. This replaces the community-oriented “What We Can Do” column with “What Families Can Do.” This is perfect for sharing at kindergarten orientation, back-to-school night or posting at school or the doctor’s office. Please share on your website, Twitter feed and Facebook page! 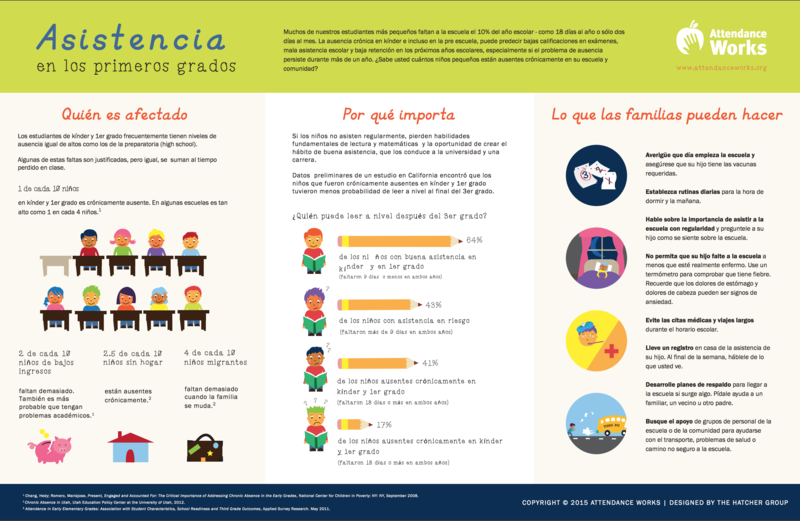 Want to print a poster-size version of our infographic for your school or community organization to help promote good attendance? Click here to access a high-res JPEG version. Click to download a medium (18″x24″) or large (24″x36″) poster. You can have the poster printed at Staples here or your local print shop.